Classic A classic but somewhat different rhum. Do not dismiss this rum because you do not like agricole. Has very little by way of vegetal/grassy notes. A rum for Sailors Or anyone who really enjoys a complex naval style blend. 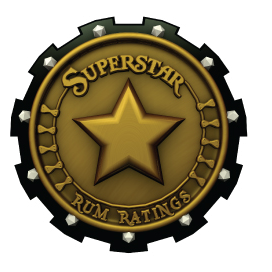 Excellent quality rum. Bourbon like Charred oak barrel notes open up to leave you with a classic pot still Bajan rum. Different and very nice if you like an oaky feel to your drink. 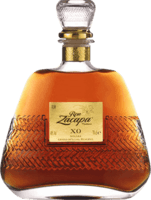 Different Very different to Zacapa. Very sweet not for all occasions. nice Jamaican rum Smells sweeter tan it tastes. Quite bitter neat. Pure Classic Single barrel rum. Good stuff but beware this is not a typical Demerara. Not as good As I was expecting. The pot still element of this rum can be a little difficult to get to grips with. Quite funky and a little vegetal. Not bad for a white Rum tasty enough when mixed. Surprisingly Good For an entry level Anejo this is surprisingly good stuff! A more honest offering than their Reserva Exclusiva! 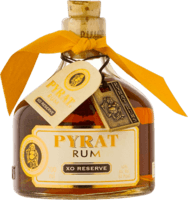 Enjoyable And quite different Gold Mixing Rum. The Black Seal's naughty younger brother. Well worth a try. Shows that Bacardi can make a decent rum. Smoky flavour and mixes well. Average Not really getting all that much for your money. Dense and cloying the 23 is better but that's not great either. Slightly too light A very light rum with a little smoke. Not very complex and a little thin taste wise especially when mixed. Seriously Smooth The smoothest rum I've tried. Unfortunately it doesn't have a taste too match. Tastes a little odd slightly soapy. Much Maligned Bacardi can do decent rum but this is for uneneducated masses. White sipping rum? Works surpringly well. Very sweet like green apples and citrus orange. Makes a nice change. Not as good as....... Gosling's Black Seal and too confected to compare with other Jamaican rum's. Both Black Seal and Myers offer a better molasses rich experience. Just not very good And never really has been! Better than the usual spiced rums from Captain Morgan. But still not great. Again rum for people who don't really drink rum.